tldr: Learn how to code audit Handlebars applications. Xss in extension = fun times. Mosquito gets new features. you make a lemonade. And I don't mean Google juice - it does not qualify. Browser extensions are badly coded, can affect your website with their vulnerabilities and there's nothing you can do about it. And this is exactly the case here: We have a top-notch Gmail application and a very popular extension that reduces Gmail to a lousy PHPBB-like forum full of XSSes. But this time, I decided to push the matter forward and demonstrate what's possible when one can execute JS in Gmail origin. But first, let me introduce you to our today's hero, Rapportive. It's easy to tell that this is a salted password hash, using sha1 as the hashing algorithm. What do you do with it? You crack it, obviously! No wonder that when talking about password hashes security, we usually only consider salt length, using salt & pepper or speed of the algorithm. We speculate their resistance to offline bruteforcing. In other words, we're trying to answer the question "how f^*$d are we when the attacker gets to read our hashes". Granted, these issues are extremely important, but there are others. Today, we'll speculate what can be done when the attacker gets to supply you with a password hash like above. Who would ever allow the user to submit a password hash, you ask? Well, for example Wordpress did and had a DoS because of that. It's just bound to happen from time to time (and it's not the point of this blog post anyway), Let's just assume this is the case - for example, someone wrote a malicious hash in your DB. We need to have some code to work on. Let's jump on the cloud bandwagon and take a look at Google AppEngine. For Python applications, Google suggests webapp2. Fine with me, let's do it! When authenticating users in webapp2, you can just make them use Google Accounts and rely on OAuth, but you can also manage your users accounts & passwords on your own. Of course, passwords are then salted and hashed - you can see the example hash at the beginning of this post. For hashing, webapp2 security module uses a standard Python module, hashlib. Compares the result with 07667c4d55d8d81a0f0ac47b2edba75cb948d3a2. 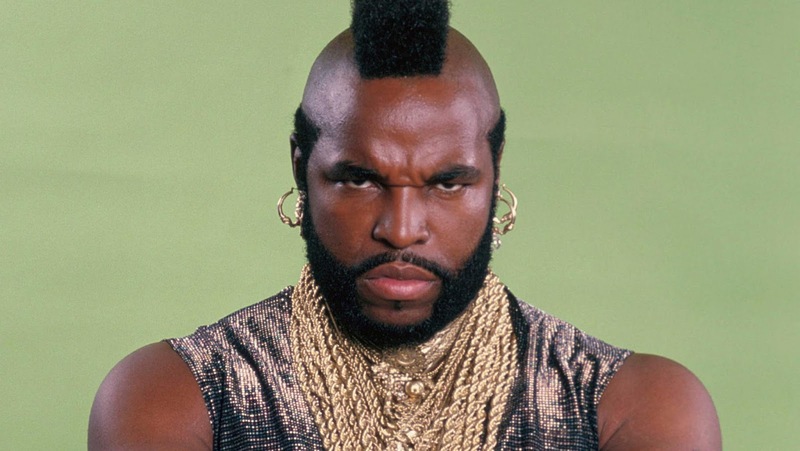 Sorry, Mr T, password incorrect this time! """Checks a password against a given salted and hashed password value. plain text passwords, md5 and sha1 hashes (both salted and unsalted). The plaintext password to compare against the hash. A hashed string like returned by :func:`generate_password_hash`. A secret constant stored in the application code. `True` if the password matched, `False` otherwise. This function was ported and adapted from `Werkzeug`_. salted passwords are used hmac is used. A method from ``hashlib``, e.g., `sha1` or `md5`, or `plain`. using the given string data. Webapp2 uses getattr(hashlib, method)(password).hexdigest(), and we control both method and password. That last bit is kewl - you can plant a hash format: md5_of_empty_string$new$ and the correct password is... md5! __class__ may have a class, but __delattr__ is the real gangster! Ladies and gentlemen, we just broke a Google AppEngine webapp2 application with a single hash! We just deleted the whole hashlib.sha1 function, and all subsequent hash comparison will be invalid! In other words, no user in this application instance with sha1 hash will be able to authenticate. Plus, we broke session cookies as well, as session cookies use hashlib.sha1 for signature (but that's another story). As this is not a PHP serve-one-request-and-die model, but a full-blown web application, this corrupted hashlib will live until application has shut down and gets restarted (methinks, at least that's the behavior I observed). After that, you can still retrigger that vuln by authenticating again! tldr: You're using easyXDM? Upgrade NOW. Otherwise - read up on exploiting difficult Flash vulnerabilities in practice. Secure cross-domain communication is hard enough, but it's a piece of cake compared to making it work in legacy browsers. One popular library that tries to handle all the quirks and even builds an RPC framework is easyXDM. But this is not an advertisement. As usual, you only get to hear about easyXDM here, because I found some interesting vulnerabilities. Combined, those allow me to XSS websites using that library. Certain conditions apply. As exploiting the subject matter is quite complex, I decided to split the post into two parts, this being the first one. Jealous of PRISM? Use "Amazon 1 Button" Chrome extension to sniff all HTTPS websites! So, Snowden let the cat out of the bag. They're listening - the news are so big, that feds are no longer welcome at DEFCON. But let's all be honest - who doesn't like to snoop into other person's secrets? We all know how to set up rogue AP and use ettercap. Setting up your own wall of sheep is trivial. I think we can safely assume - plaintext traffic is dead easy to sniff and modify. Too hard. Let's try some side channels. Let me show you how you can view all SSL encrypted data, via exploiting Amazon 1Button App installed on your victims' browsers.